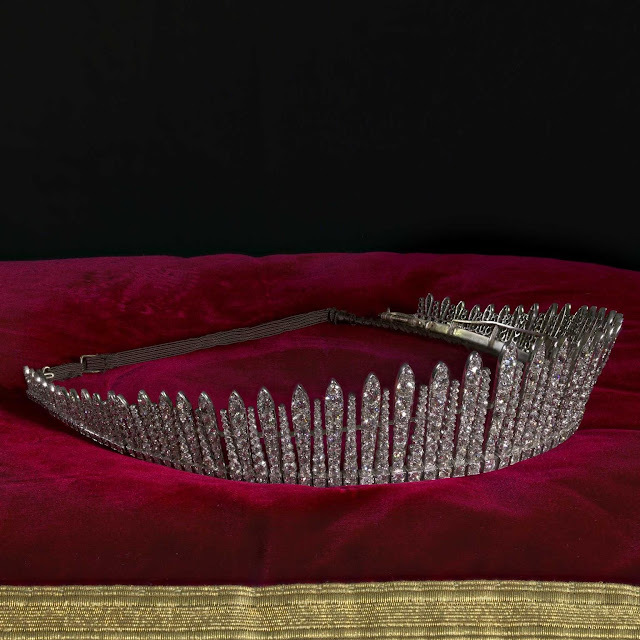 The Prince and Princess of Wales, later King Edward VII and Queen Alexandra, gave this diamond fringe tiara to their daughter, Princess Louise, as a gift for her 1889 wedding to the Earl of Fife (who was made the Duke of Fife by Queen Victoria right after the wedding). 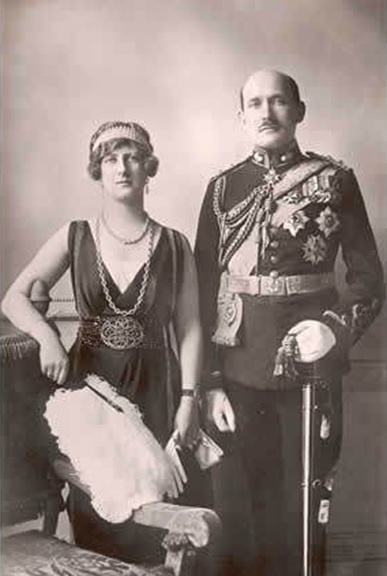 Purchased at Hancock’s, the tiara includes graduated rays of pavé-set diamonds in white and yellow gold. It’s the most classic of fringe tiara designs, in which the taller rays alternate with slightly shorter rays of a different design. Like most classic fringes, it can be worn either as a tiara or as a necklace. 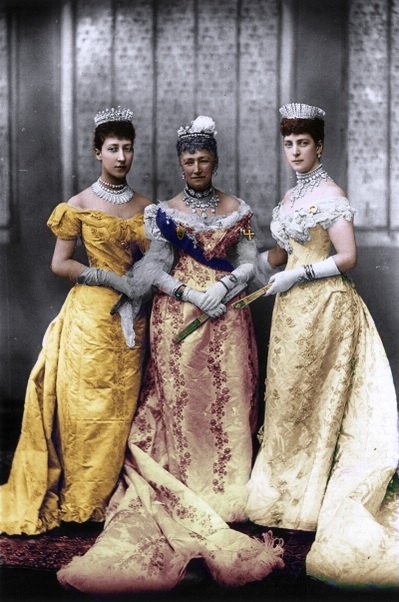 It became a favorite of Princess Louise and she wore it both ways. 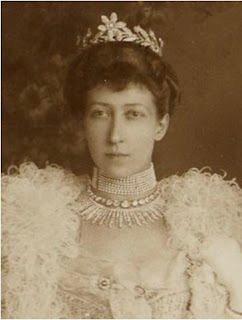 It was a fashionable choice for years and a look at the mother of the bride’s own jewel vault shows that fringes were on her mind at the time: Alexandra requested a fringe variation of her own, Queen Alexandra’s Kokoshnik Tiara, as a gift for her silver wedding anniversary in 1888, one year before her daughter was married. These tiaras were inspired by the kokoshnik headdresses of Russia and grew fashionable at the imperial court; Alexandra’s request for a version of her own was said to have been inspired by the jewels of her sister, Empress Marie Feodorovna. 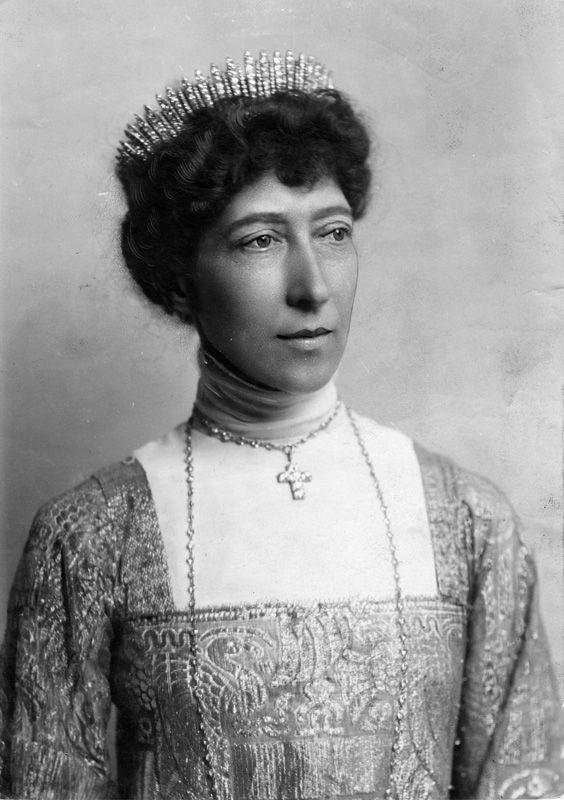 The fact that this tiara is such a model of the popular fringe design means that it is also very difficult to distinguish from other fringes. Princess Louise’s daughter, Princess Alexandra (who became the Duchess of Fife in her own right), also wore a fringe tiara, but this may have been an entirely different tiara; Alexandra was married to Prince Arthur of Connaught, whose mother also had a diamond fringe tiara. Caroline Dewar wore one when she married the future 3rd Duke of Fife in 1956, possibly the Fife Fringe. The Fife Fringe Tiara went unseen for several decades (and has sometimes been reported as having been auctioned off), but we now know that it is still with the family. 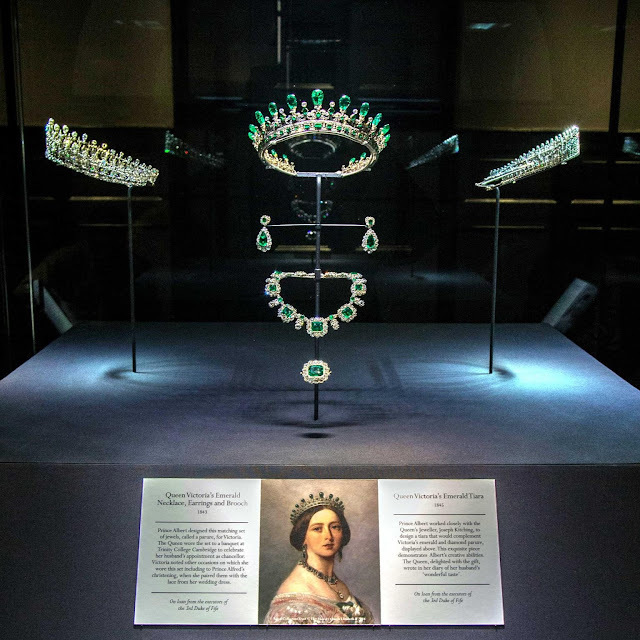 It has been loaned on a long-term basis to Historic Royal Palaces for display alongside Queen Victoria’s Emerald and Diamond Tiara and its parure, which is also still with the Fife family and on long-term loan, and the Fife Tiara, which was given to the U.K. government in lieu of inheritance tax following the death of the 3rd Duke of Fife. See it while you can. Is this on your list of best fringes, or is it more of the same to your eyes?